War Horns - Good start for polish music. 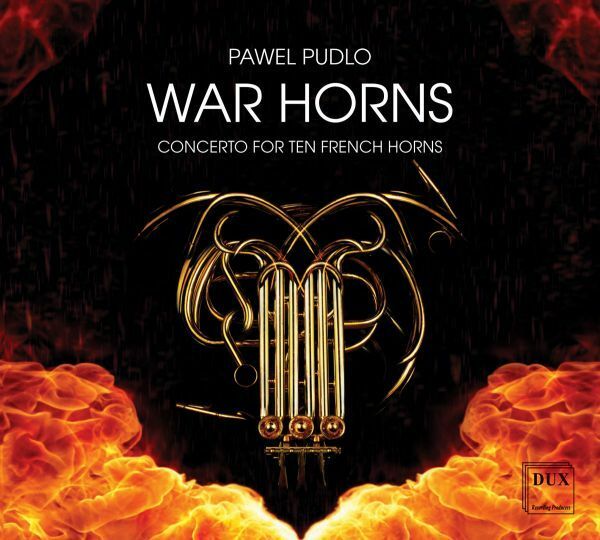 WAR HORNS is the anti-war concerto for ten French Horns. The world premiere of the piece took place in Gdańsk (Poland), a symbol city where World War II started. In the city where the "Solidarity" movement was born, symbolizing the ideas of freedom and peace. It was performed during the celebration of the 70th anniversary of the end of World War II - the most tragic armed conflict in the world. Musicians from Poland, Germany, Russia, Italy and Spain took part in the world premiere. The War Horns piece is a foundation of Phoenix Cities, a project combining elements of history, music and education. Concerts and lectures in the most destroyed cities during World War II. Motto of the Phoenix Cities - "Hope for the future, without forgetting the past". Pawel Pudlo - Music Producer and Conductor, Project Idea, Coordinator and Director. French Horns performed by Stefan De Leval Jezierski, Michał Szczerba, Grzegorz Mondry, Anna Mondry, Igor Szeligowski, Mateusz Feliński, Gabriel Czopka, Czesław Czopka, Łukasz Łacny, Robert Wasik. DVD: 30 minutes - Includes material and the footage of the recording session with musicians, preparation to the premiere in Gdańsk, making of the War Horns trailer and the sculpture installation, photos and much more.